The Mercury Mini Sospensione Halo by Artemide is a high-quality pendant lamp that appears to be made from mercury. The organic lamp looks as if it were liquid. With the Mercury Mini Sospensione Halo, Ross Lovegrove has created a pendant lamp that is typical of the organic and futuristic style of the British designer: The diffuse beam of light is emitted from below onto the cover plate of the Mercury Mini and is thrown back from there - this emphasises the appearance of the lamp as a floating, luminescent and metallic liquid. The Mercury Mini Sospensione Halo is an effective highlight in rooms with high ceilings. The lamp, made from lacquered aluminium by Italian manufacturer Artemide, looks impressive in dining rooms and living rooms, and is also outstanding in commercial spaces. 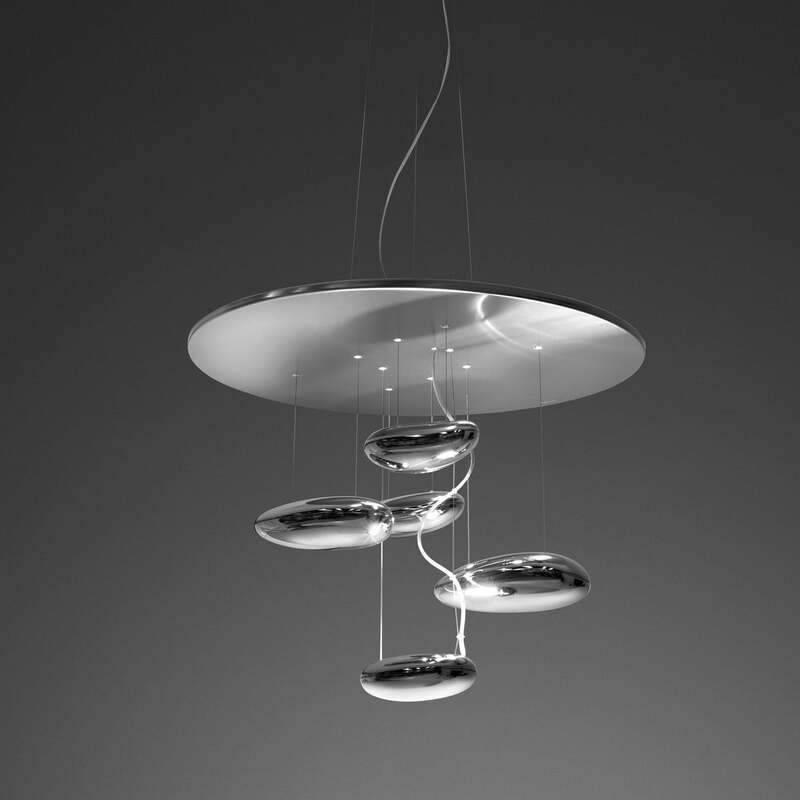 Artemide offers a complete series of the organic, futuristic ceiling lamp: the Mercury Mini is available, for example, in LED and larger versions.